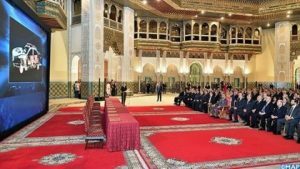 The Moroccan Industrial Acceleration Plan, launched in April 2014, under the aegis of King Mohammed VI, and the accompanying measures adopted to implement the ambitious plan are yielding fruits, particularly in the car industry sector. Actually, the sector has the winds in its sails and is attracting an increasing number of investors while the investors already operating in the North African country do not hesitate to pour more funds in their Morocco-located projects. 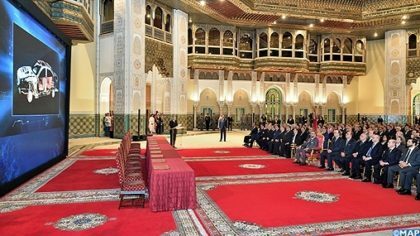 In this connection, 26 new investments in the car industry sector worth more than €1.2 billion were announced Monday at a ceremony in the Royal Palace in Casablanca, chaired by King Mohammed VI. The Monarch oversaw, on this occasion, the signing ceremony of five documents related to these 26 investments. The 26 new investment projects will introduce new specialties in the country, enhance local integration, and supply car parts and equipment that were so far imported by the automakers settled in Morocco. The new investment projects, expected to create nearly 11,600 direct jobs, will actually be injected in sites specialized in aluminum wheels, dashboards, bumpers, seats and electromechanical boxes. Six out of the 26 investment projects announced Monday are part of the efforts made by French car manufacturer Renault, which has two plants in Morocco, to develop a global supply platform from the Kingdom and implement its ecosystem. Thanks to this large-scale ecosystem, the French group is currently supplying Morocco-made machined parts worth one billion euros per year and achieves a local integration rate of 55%. Thirteen investment projects will be conducted within the framework of the PSA Peugeot Ecosystem, which requires a new development for the entire sector to help in the emergence of an industrial pole of excellence in the city of Kenitra, 40 Km to the North of Rabat. The Kenitra plant will start building cars in 2019. Five other investments will boost activities of the Ecosystem dealing with wiring, launched in October 2014, and two investments will go to the automotive supplier Valeo. These new major investments were unveiled just two days after the Chinese electric vehicle maker BYD signed agreements, in the presence of the Monarch, to build a factory in Morocco, specialized in making battery-powered passenger cars, buses and trucks. The BYD factory will be set up in the new Mohammed VI Tangier Tech City, which is part of a landmark project between Morocco and China to create a “North African Silicon Valley”. The blossoming automotive industry in Morocco is attributable to various reasons, including incentives and competitive factors to attract more and more investors and car parts-makers, Morocco’s proximity to European markets, modern infrastructures, free trade zones, qualified cheap manpower, open economy and political stability. Written by: Jaber Ali on December 12, 2017. Posted by Jaber Ali on Dec 12 2017. Filed under Headlines, World News. You can follow any responses to this entry through the RSS 2.0. Both comments and pings are currently closed.